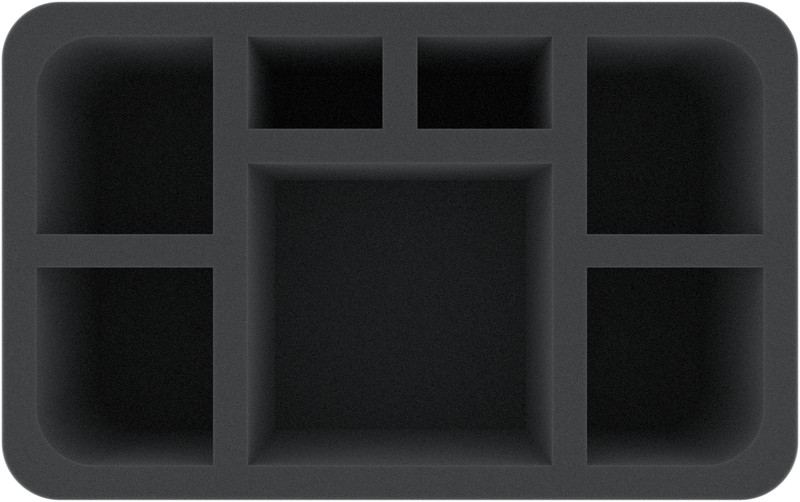 This Half-Size foam tray divides into 7 compartments of different sizes. The large compartment in the middle is designed for a Venomcrawler of the Daemonkin. The precisely fitting cut ensures that the miniature remains securely in place during transport. Hereby, the soft foam not only protects the numerous filigree details from damage, the colors of the painted model are also spared from abrasion and scratches. In addition, you get 4 compartments for larger miniatures of your Legion, such as the Obliterators, the Greater Possessed and the Master of Possession. The remaining two small compartments are ideal for standard Chaos Space Marines on 32 mm bases. 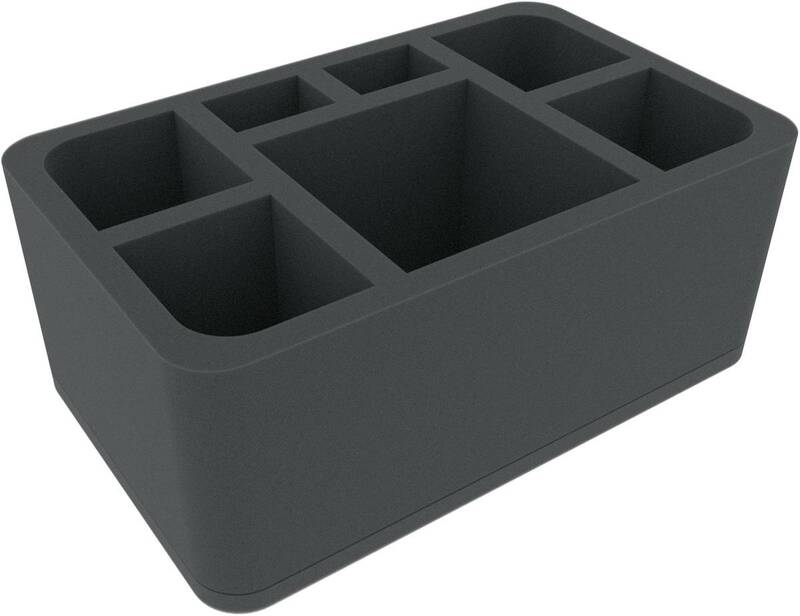 This foam tray has the dimensions: 275 mm x 172 mm x 110 mm total height (100 mm usable height + 10 mm foam base).